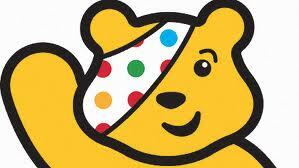 A huge thank you to everyone who helped us to raise £508.50 for Children in Need. Most of you will be aware that on the 17th November it was Children in Need day and all of the children were encouraged to wear pyjamas to school. As the children came into assembly, you really got an idea of how many people really care about Children in Need. We (the student councillors Anya, Jack, Cammy and Emily) went round to all the different classes collecting donations and taking photos of everyone in their cosy pyjamas. You will see some of the pictures we took on this website. Throughout the day we raised £472.00 and have had lots of fun. We look forward to doing more charity events in the future and are proud to say we have a school full of very generous children.